PhotoEast, Suffolk’s first festival of photography was launched this week in Ipswich and can claim to be a major success, even within its first few days of existence. The half-mile walk along Ipswich’s waterfront from DanceEast to Cult Cafe brings dramatic images from around the world to this small Suffolk town. Local history and Ipswich life are presented alongside contemporary photography as part of the fabric of the waterside architecture. There is even a projection room inside a shipping container at the far end of the marina. 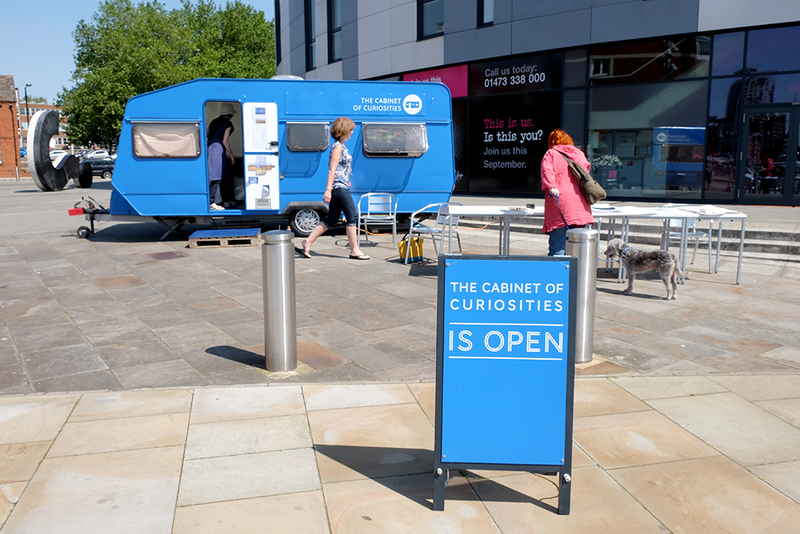 Last week The Cabinet of Curiosities caravan pulled up outside University Campus Suffolk to coincide with an exhibition of the same project in UCS’s Waterfront Gallery.